​August 31st, 2016: Thirty Writing Arts students attended a screening of the Wachowski film, The Matrix, and participated in a discussion that followed. Serving as an introduction to the course How Writer's Read, the discussion explored approaches to "read" the film, taking clues from the film itself. 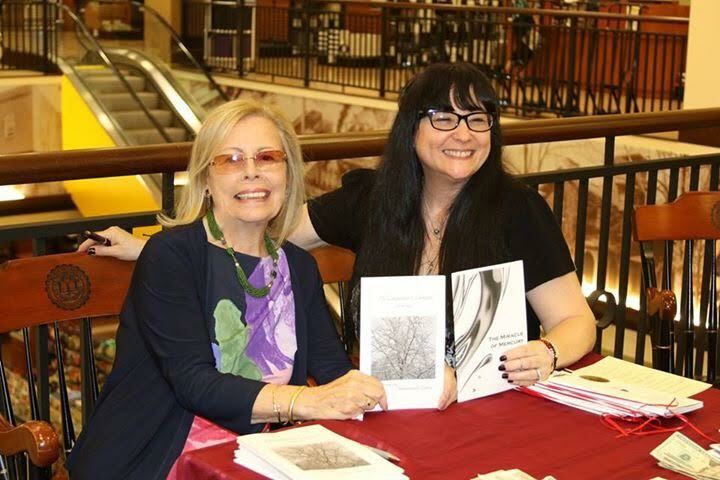 September 22nd 2016: Toni Libro, Author of The House at the Shore and Women Without Wings read selected poems from her newest chapbook The Carpenter's Lament in Winter at the Rowan University Barnes's and Noble bookseller. She was accompanied by Joan Hanna, author of Threads, who read selected poems from her most recent chapbook The Miracle of Mercury. October 1st, 2016: Several members of the Rowan Writing Arts Club volunteered at the Collingswood Book Festival in Collingswood, New Jersey. This festival offers authors a space to promote their published works, and provides readers a place to meet some of the author's of their favorite books. The volunteers set a table, and talked to potential future Writing Arts students about the program, and provided them with information on how to apply. ​High Street Art Gallery. Free food and beverages will be provided to those in attendance. ​The 2016 Dodge Poetry Festival will be taking place at the New Jersey Performing Arts Center and its' surrounding area in Newark, New Jersey from Thursday October 20th- Sunday October 23rd. This biannual festival features readings and Q&A's by poets such as Billy Collins, Claudia Rankine, Mark Doty, and over 50 other nationally and internationally recognized poets. Tickets can be purchased through their website. Tickets purchased by college students before October 9th are reduced in price to $5 per ticket. Below is a video of Robert Pinksy reading at the 2014 Dodge Poetry Festival as an example of what to expect. October 26th 2016, Pulitzer Prize winning poet Philip Schultz will come to campus for a reading and discussion of his work. More information regarding this event to follow. ​More information can be found on The Bulletin Board. Internship opportunities will be posted periodically to The Bulletin Board so please check for new opportunities. An award-winning essayist, journalist, and the New York Times bestselling author of five books, Marya Hornbacher has had her work published in eighteen languages, and her writing across genres appears regularly in literary and journalistic publications around the world, including recent and forthcoming work in AGNI, Gulf Coast, Fourth Genre, The Normal School, DIAGRAM, Broad Street, The Bellingham Review, and Vestoj (Paris). 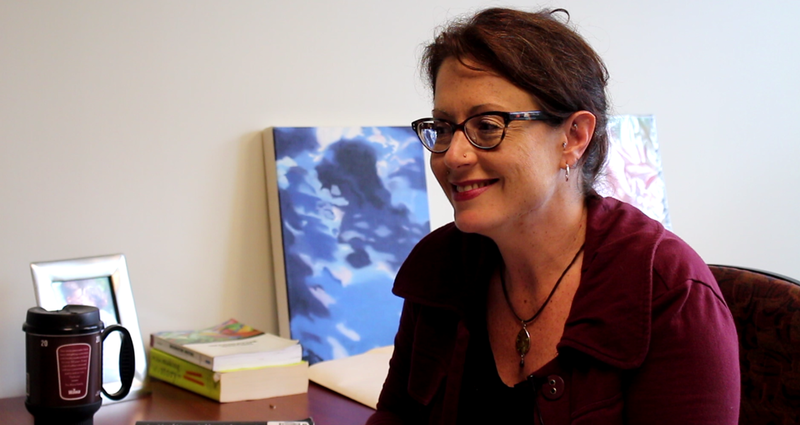 ​Her research interests include the intersection of creative writing and critical theory, literature and gender, humanist ethics, and the American mythos. Her sixth book, a work of long-form journalism on science and the mind, will be published in 2018, and her seventh, a collection of essays on solitude, will appear the following year. She was recently honored with the Annie Dillard Award in Creative Nonfiction. Photos to Marya's books with links can be found below. A: I teach masters creative nonfiction workshop, I teach an undergrad nonfiction workshop, and I'm teaching a section of creative writing one. Q: So, you're new to the university: how have your experiences been so far? A: Good! Varied. A lot to get used to. The students are wonderful, they are vibrant and engaged. And that's always a lot of fun. I come from teaching graduate school so working with undergraduates is a real treat, so I'm enjoying that quite a bit. The faculty is impressive and welcoming and lovely. Q: What is your approach to writing? A: My approach to writing varies; it depends on what I'm writing. I write in three genres. 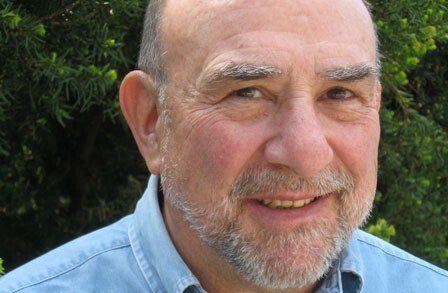 I write fiction, nonfiction, and poetry, so it's always different. I come at poetry in a much more oblique fashion than I come at narrative nonfiction. I do a lot of research for nonfiction, and I do a lot of outlining for fiction. I do a lot of thinking for poetry. My approach to writing is--basically you have to know the craft before you can play with the craft. You have to understand the rules of it--it's like fiddling, you first need to know how to play the violin. I really try to encourage students to get a sense of how "to play the violin" first and then start experimenting, and until you get that foundation, it's hard to experiment effectively, but as soon as you have that, if you don't move on to the experimentation, all you have is craft. You have to have both pieces. That's what I really try to bring to students. Q: How do you incorporate playing with craft as well as teaching the foundations of it in your classes? A: I think the big piece is that most of my classes are balanced between actually writing in class and talking and discussing what we've read. We read both craft pieces and books: examples of what we're reading. In creative nonfiction we're looking at a lot of creative nonfiction. Essays, lyric essays, creative essays, personal essays, literary journalism, memoir, all of it. We're also looking at people who are writing about the genre. Who are writing about how to use voice, how to use segmentation, how to use all the forms that are so new in creative nonfiction and are really fun and experimental, so my hope is that through that the students get both those old school foundational tools of voice and point of view, and plot, and narrative structure as well as the willingness and the ability to experiment with form and push the boundaries. I can only teach you so far and then you go, you go and you push the boundaries--that's what I hope my students do. Q: So a lot of students I've noticed get intimidated by nonfiction, partially because we're so young and we lack experiences to write about. So how do you encourage students to think about their experiences and how they can build upon that in a creative nonfiction piece? A: Great question. The most important thing is that not all creative nonfiction is about personal experience. I think the first thing we have to do in creative nonfiction is bust up some myths. One is that it's all about personal experience, because it's not. There's a lot of nonfiction that has nothing to do with "me" or "you" or anything like that. It has to do with facts and research. And also the essay form is a very playful form and allows you to write about what you think about, not what has happened to you. It allows you to kind of chase that journey of thought more than chasing a journey of life events. So memoir, is certainly about personal story, but a lot of creative nonfiction forms have a lot more room. And I think for young writers, if you're looking for something to write about, you know, tap your brain and you'll find it. There's no shortage of things to write about in nonfiction. Nonfiction, I think, is such an umbrella term for so many sub-forms and sub-genres; that's why it can be intimidating. It's because instead of trying to learn fiction--you know: short story, short short story, novel, the various forms and lengths of short fiction and long fiction--in creative nonfiction you're looking at essay, memoir, journalism, micro-essay, hybrid forms, prose poetry, and that's why it's intimidating to me. There's so much possibility to it and there are so few set in stone rules and so the first thing a student needs to do coming into creative nonfiction is be prepared to unlearn a lot of their fixed notions about what nonfiction can be. Q: Can you describe the types of assignments you have. What they are, and how you go about teaching students how to do these forms? A: Early in the semester we usually work a lot on models. So one assignment recently was to write an essay exactly in a format of an essay we had read that we all really liked. It allowed us to play with several things at once. It allowed us to play with individual voice, but in a given structure. Next we'll take that tone of voice and practice working without structure. So the assignments tend to be small and condensed. For example, last week I had students write down their writing persona, who is this persona they present in their nonfiction? I always call it the "first date person". The person you take on your first date, and they tell all your stories and do all of that. Then I ask them to, after having written in that persona, to write in the persona of their informational person. Q: What do you think is the most difficult aspect of your courses that students have to get adjusted to? ​A: Me, I'm demanding. I ask a lot of reading and I ask a lot of participation. Most of my classes are 30% participation grade. If I don't see you participating, it's not that I think you haven't done the work, it's that I think the writing isn't engaging you yet, and so I have to work harder to try to find where that click is with your mentality, and your writing style, and your curiosity. So what students probably have to get used to with me is that I'm a very abstract thinker, I bounce, not physically, I bounce from idea to idea and it does follow an outline, if anyone wants the outline they can have it, but I'm trying to bring in a lot of different ideas so students aren't trying to think so linearly. This is not a linear process. Learning the craft and the style really is about bringing in different elements, so students, probably have more than anything to get used to, me. ​Q: What kind of things do you expect from your undergraduate students versus your graduate students? ​A: Undergraduate students need to be curious. That's what I expect more than anything. You can mess up every assignment, but if you come in to every class curious I take note, and I want that curiosity because that's when you're learning. Doing the assignments "right" is you do the assignment, you turn it in. Writing is so totally subjective, especially in an undergraduate setting. You're playing, you're experimenting, you're learning. My expectation is not that the prose, or the poetry, or the drama will be perfect. My expectation is that it will take risks. That's really what I want my students to do in my classes, is to take those risks, and challenge themselves. If I don't do that as a writer, I don't grow, and the same is true for someone who is coming into writing for the first time. If I keep doing what I know how to do, I keep writing what I always wrote. As a writer and as a teacher I need to keep challenging myself, and I need students to keep challenging themselves as well. ​Q: Is there any way students should mentally prepare for taking one of your classes? A: Relax. I think one of the things that I do notice here is that students want to do it right. There's no right. This isn't just here at Rowan, but students like definitions, and I can't define creative nonfiction. You can go through my 2,000 books and look for a definition and you will not find one there either. Come in ready to explore. Come in ready to be creative. Leave your restrictions and your rules at the door. Come in and just learn however you learn.